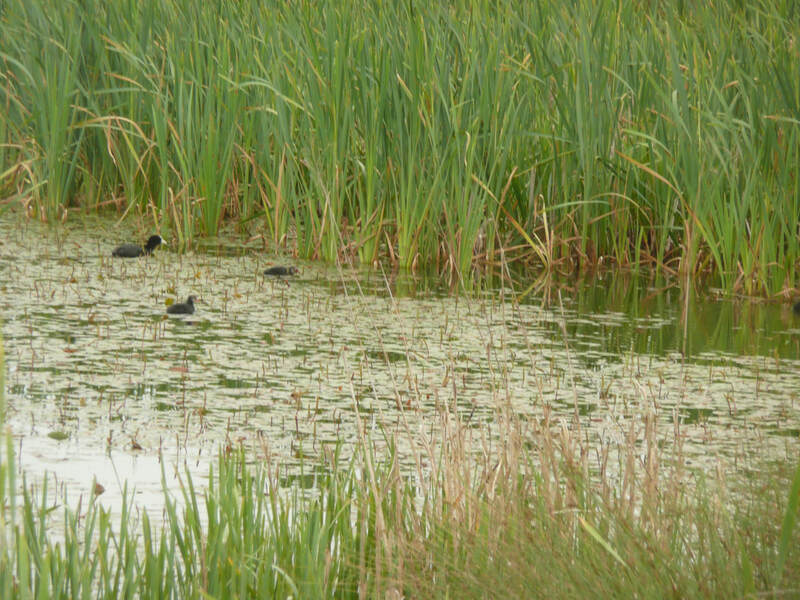 Regular updates have been arriving from local birders Maurice Nauta and Brian Chapman, keeping NWT in touch with the range of birds seen at Ashing Lane Nature Reserve. A total of 74 species have been recorded, with goldfinches and rooks by far the most frequently observed birds throughout the year and large flocks of fieldfares arriving in the winter. Barn owls are also regularly seen quartering the meadows and rides. Find out more about these birds on the RSPB website using their bird guide. Birds marked in red are species that are considered in need of urgent conservation action and are globally threatened with a 50% decline in the breeding population over the last 25 years. Amber denotes species decline, green list birds are of least concern for conservation action. This information was taken from "Birds of Conservation Concern 4". Here is a summary of birds observed by our recorders over the last nearly three years. Birds listed in grey are not given a status because they are introduced species. Dennis Tate, Trustee of NWT and long time bird watcher, shares some thoughts about the changes in the pattern of bird species at Monks Wood. 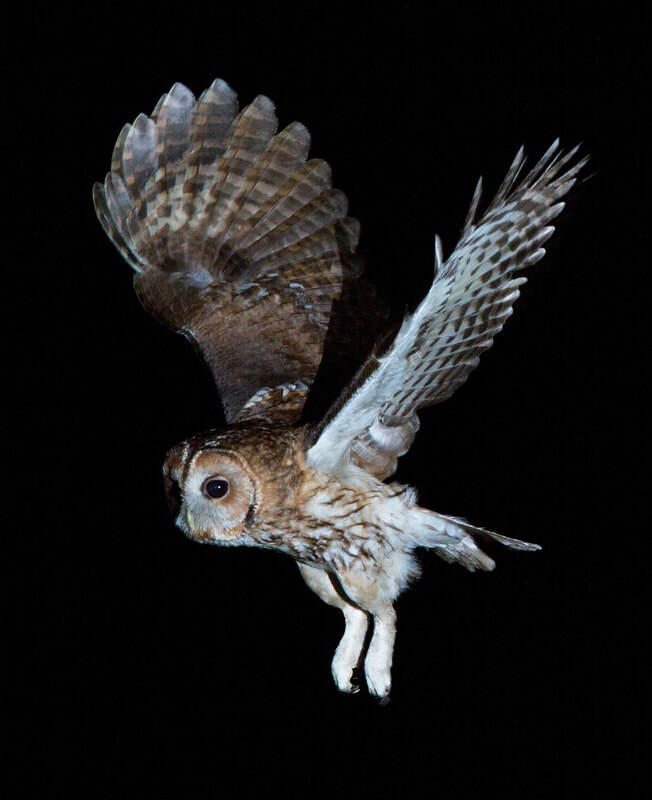 Stuart Dallas, a member of the NWT group, took this amazing picture of a tawny owl. It wasn't taken at ALNR, but this is an orange list species that has been recorded there. 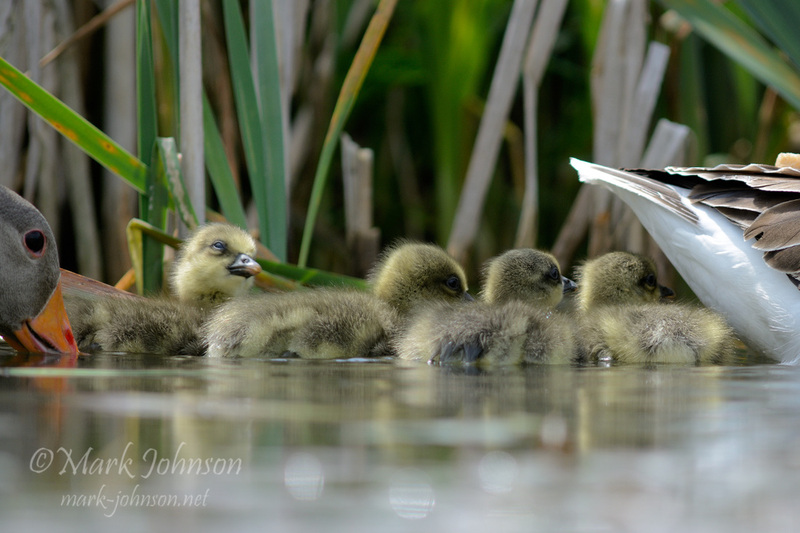 Mark Johnson caught this amazing shot of four ​brand new greylag goslings on Coop Lake in spring 2016 - thank you Mark! Aren't they wonderful? Please watch out for fledglings and keep dogs under control.